JKPSC Extented date of verification of documents for Medical officer. 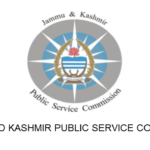 Jammu and Kashmir Public Service Commission JKPSC Extented date of verification of documents for Medical officer. JKPSC Latest Notification update. Post Name Medical officer (Allopathic) and Veterinary Assistant Surgeon. JKPSC Extention in date of verification of documents posts of Medical officer (Allopathic) and Veterinary Assistant Surgeon. JKPSC Deficiency of documents for the posts of Assistant Professor. JKPSC Postponement of Interview Schedule of Assistant Professor. Jammu and Kashmir Public Service Commission JKPSC Postponement of Interview Schedule of Assistant Professor. JKPSC Latest Notification updates Post Name Assistant Professor, Spoken Chinese Department J&K Higher Education Department JKPSC Postponement of Interview Schedule for the post of Assistant Professor, Spoken Chinese in Higher Education Department. JKPSC Shortlisted candidates for the post of Assistant Professor. 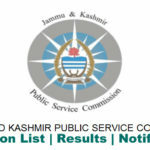 Jammu and Kashmir Public Service Commission JKPSC Selection list of Assistant Professor in J&K Higher Education Department. 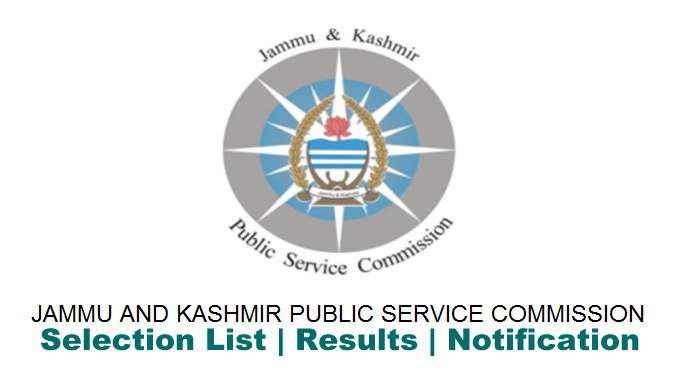 JKPSC Latest Notification updates Post name Assistant Professor Department J&K Higher Education Department Download JKPSC Shortlisting of candidates for the post of Assistant Professor, Botany in Higher Education Department. JKPSC Shortlisted candidates for RO Grade I Written Examination. JKPSC Latest Notification update. JKPSC Range Officer Grade-I [Soil Conservation] Ranger’s Qualifying Examination-2018 Shortlisting of candidates for the written examination thereof .